Blur's Alex James is to host the Big Feastival once again on his farm in the Cotswolds. 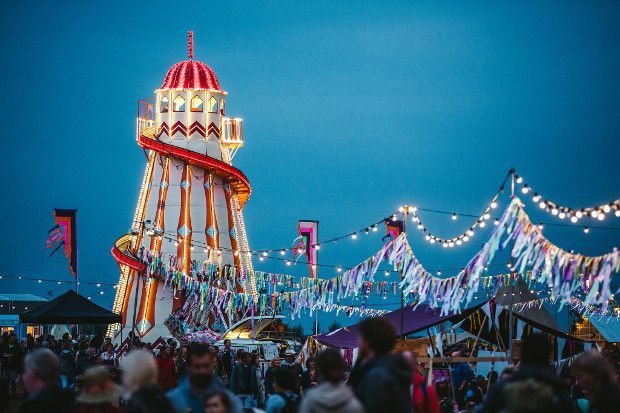 Back for its sixth year, the family festival offers food and music lovers a chance to listen to emerging and established bands while tucking into food prepared by some of the UK's top chefs. Haçienda Classical will kick things off on the Friday with special guests including Mike Pickering, Graeme Park, New Order's Peter Hook and Faithless (DJ set). On Saturday Olly Murs will take to the stage while Madness round things up on the Sunday. Across the weekend there's also music from American hip hop trio, De La Soul, Ella Eyre, Embrace, X Factor winner Louisa Johnson, The Skatalites, The Cuban Brothers and Norman Jay. Various street food vendors will be dotted about the site, giving ticket holders a more sophisticated gastronomic offering than the average festival. London's Patty & Bun will dish up their famous burgers, 26 Grains are to serve healthier breakfast alternatives and Edinburgh's own Crema Caravan will be making their crunchy custardy Creme Brûlées. There's also a chance to book into several cookery classes, demonstrations and talks from the likes of Rick Stein, Nathan Outlaw, José Pizarro, Mark Hix, Gennaro Contaldo, Fearne Cotton and Great British Bake Off winner Candice Brown. A weekend celebration of music, food and fun for all the family. The 2017 lineup included Hacienda Classical, Olly Murs, Embrace and Madness.